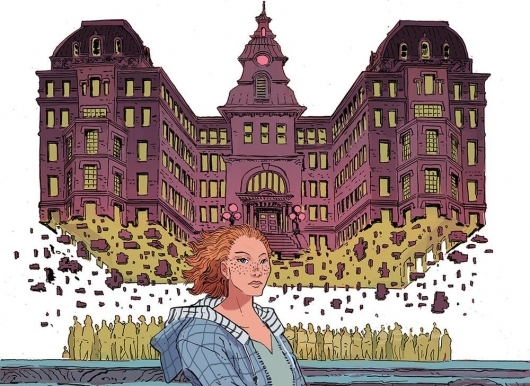 I’m pretty much game for anything written by Cullen Bunn, therefore it should come as no shock that The Unsound #1 would make its way onto my desk. Always creepy and a little twisted, his horror stories tend to be dependable sources of entertainment and each comic series unique. This one finds a nurse making her way to her first day at work at a mental institution. But as she makes her way there, we see the world outside is just as dark, twisted, and suffering as anything that could be inside the hospital. That is, until we see what is inside. Back in May of 2013, I had the privilege to review issue number two of Steve Horton and Michael Dialynas’ Amala’s Blade. I am thrilled to have now been able to review the trade paperback, Amala’s Blade: Spirits of Naamaron. Read on for my thoughts on the collection as a whole. Due to moral ambiguity and clashing ideologies, the kingdom of Naamaron is divided. The nation of the Purifiers — a people who live simplistic lives and are reliant on the power of steam — and the Modifier nation — those who worship technology and “modify” their bodies based on new advancements — are constantly on the verge of war. Caught in the middle is the world’s great assassin, Amala, a child runaway trained to be a ruthless killer. Now an adult, Amala is plagued by literal ghosts from her past, including her dead father who insists that her destiny could mean the end of the ongoing war and an indefinite time of peace. I’m always on the lookout for an exciting and unique assassin story. There’s something about attaining a glimpse into the life of such a secretive and deadly world—in which nothing is ever black and white—that really piques my interest. 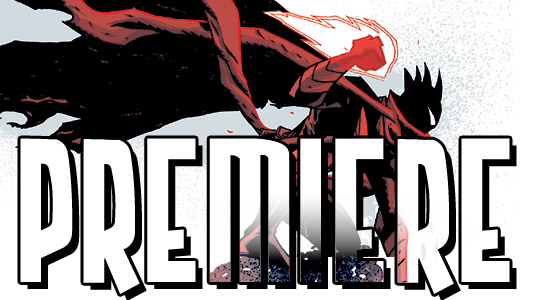 Steve Horton and Michael Dialynas have created a real gem with the genre-bending Amala’s Blade, and the second issue of Dark Horse’s miniseries steers the comic into a whole new world of awesome. In a realm wrought with violence and warring nations, Amala is the best assassin around. She’s so gifted with her killer talent that there’s a large price on her head. Now, hired by the Vizier to eliminate a Purifier noble named Lady Strawbale, Amala must begin the most dangerous mission of her career. 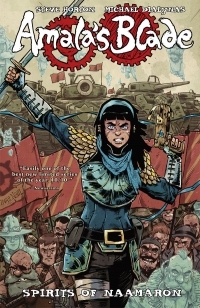 Not only will she need to figure out the best method of infiltrating the Purifier palace, but she must also evade bounty hunters in search of a reward and a horde of literal ghosts from her past; but what Amala does not realize is that her target may hold the key in bringing peace to the nations. 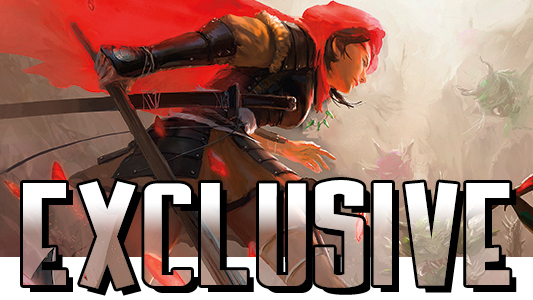 We’re back again with an exclusive first look at a bunch of covers courtesy of our friends at Dark Horse comics. 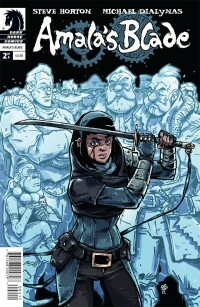 First we have the regular cover for Amalia’s Blade #1 by Michael Dialynas as well as a variant cover by Guy Davis. 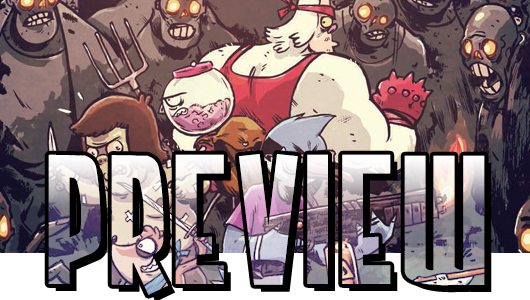 Then we’ve got two series that wrap up in April with their fourth issues — The Answer! #4 by Mike Norton and The Black Beetle: No Way Out #4 by Francesco Francavilla. Then we’ve got covers for four collections hitting stores in June. Check out The Victories, Volume 1 by Michael Avon Oeming, collecting the five issue superhero/sci-fi adventure miniseries. Next we have the first volume of The Original Daredevil Archives collecting the first four issues of the golden age classic. Then there’s Forbidden World Archives, Volume 2, collecting the weird and wonderful anthology of science fiction and supernatural fantasy. Finally, there’s the next in the long line of Dark Horse’s Creepy Archives, Volume 16 featuring work by Alex Toth, Wally Wood, Neal Adams, Bernie Wrightson, and Richard Corben. All this and more can be had, and all you have to do is pre-order them with your friendly neighborhood comic book dispenser. Now, check these covers out right here after the jump.